Formerly Known as the Neck Kit, we changed the name. 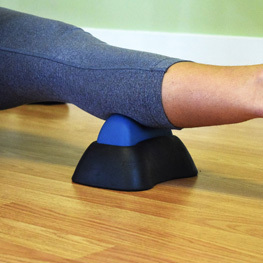 It does so much more than help improve neck mobility and muscle health! This is our most popular tool for good reason. Imagine stopping a Tension Headache in 15 minutes without taking medication. 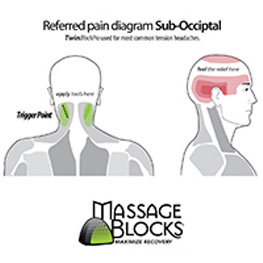 The Neck Kit provides a perfect sub-occipital release without the aid of a therapist. Please see our link to the reviews at the bottom of this page. With this tool you can stop tension headaches early, before they settle in for a multi-day battle. Don't wait to start a new chapter in your life! 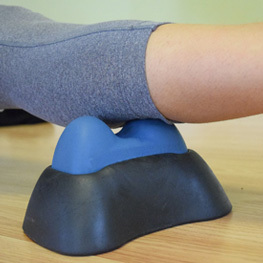 The experience of deep Trigger Point Therapy may be intense, even overwhelming, to those experiencing it for the first time (it should never hurt). Just remember to go slowly, and if it does hurt, stop immediately and speak with your physician before trying again. Please see our Product Warning and List of Red Flags. 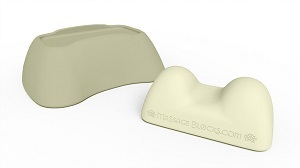 The product includes a Twin Block and Large Base.